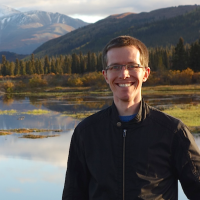 Christopher Cox is an Assistant Professor in the School of Linguistics and Language Studies at Carleton University. His research centres on issues in language documentation, description, and revitalization, with a special focus on the creation and application of permanent, accessible collections of language resources (corpora). For the past twenty years, he has been involved with community-based language documentation, education, and revitalization efforts, most extensively in partnership with speakers of Plautdietsch, the traditional language of the Dutch-Russian Mennonites, and with Dene communities in Alberta and Yukon. SSHRC Connection Grant. Project: “21st century tools for Indigenous languages.” Co-investigator (with Antti Arppe, University of Alberta (PI), Jordan Lachler, University of Alberta, and Måns Huldén, University of Colorado at Boulder) in the development of computational tools in support of Indigenous language education and revitalization. Amount: $50,000. 2016–2017. SSHRC Partnership Development Grant. Project: “Kaska ‘talking’ dictionary: Facilitating language revitalization through collaboration.” Co-investigator with Patrick Moore (University of British Columbia; PI) and Barbra Meek (University of Michigan Ann Arbor) in the development of a multimedia dictionary of Kaska in collaboration with Liard First Nation, Ross River Dena Council, University of British Columbia, University of Michigan, and Yukon Education. Amount: $183,037. 2013–2017. Christensen, Julia, Christopher Cox, and Lisa Szabo-Jones (eds., to appear). Activating the Heart: Storytelling, Knowledge Sharing, and Relationship. Waterloo, ON: Wilfred Laurier University Press. Starlight, Bruce, Gary Donovan, and Christopher Cox (eds., in preparation). John Onespot and Edward Sapir: Collected Tsuut’ina Narratives and Linguistic Notes, 1922. Revised scholarly edition of Tsuut’ina traditional narratives and linguistic notes assembled by John Onespot (Whitney) and Edward Sapir in 1922. Cox, Christopher. 2011. Corpus linguistics and language documentation: challenges for collaboration. In John Newman, R. Harald Baayen, and Sally Rice (eds. ), Corpus-based studies in language use, language learning, and language documentation, 239–264. Amsterdam: Rodopi. Cox, Christopher. 2011. Quantitative perspectives on syntactic variation: investigating verbal complementation in a corpus of Mennonite Plautdietsch. In Marek Konopka, Jacqueline Kubczak, and Ulrich H. Waßner (eds. ), Grammar and Corpora 3, 549–555. Tübingen: Gunter Narr Verlag. Cox, Christopher. 2010. Probabilistic tagging of minority language data: a case study using Qtag. In Stefan Th. Gries, Stefanie Wulff, and Mark Davies (eds. ), Corpus linguistic applications: current studies, new directions, 213–231. Amsterdam: Rodopi. Starlight, Bruce, Gary Donovan, and Christopher Cox. 2016. From archival sources to revitalization resources: Revisiting the Tsuut’ina notebooks of John Onespot and Edward Sapir. Paper presented at the American Philosophical Society symposium ‘Translating Across Time and Space: Endangered Languages, Cultural Revitalization, and the Work of History’, Philadelphia, PA, October 13–15, 2016. Cox, Christopher, Måns Huldén, Miikka Silfverberg, Jordan Lachler, Sally Rice, Sjur Moshagen, Trond Trosterud, and Antti Arppe. 2016. Computational modeling of verbs in Dene languages: The case of Tsuut’ina. Paper presented at the Dene (Athabaskan) Languages Conference, Yellowknife, NWT, June 6–7, 2016. Cox, Christopher. 2015. From technical to teachable: Teaching morphology without templates. Paper presented at the 4th International Conference on Language Documentation and Conservation as part of an NSF-sponsored Special Session on Pedagogy in Language Conservation, University of Hawaii Manoa, Honolulu, HI, February 26–March 1, 2015. Cox, Christopher. 2013. Back to basics? Evaluating Basic Oral Language Documentation methodologies. Paper presented at Language Documentation and Linguistic Theory 4, School of Oriental and African Studies, London, UK, December 7–8, 2013. Cox, Christopher. 2013. How areal are areals? Spatial reference, prototypes, and extension in Dene. Poster presented at the International Cognitive Linguistics Conference 2013, University of Alberta, Edmonton, AB, June 23–28, 2013. Cox, Christopher. 2013. Reclaiming access: language documentation methodologies in Canadian Indigenous language reclamation. Poster presented at a special session of the Canadian Linguistics Association ‘Reclaiming Canada’s Indigenous Languages,’ University of Victoria, Victoria, BC, June 3, 2013. Joyce McDonough, Jared O’Loughlin, and Christopher Cox. 2013 An investigation of the three tone system in Tsuut’ina (Dene). Poster presented at the ICA 2013, 165th Meeting of the Acoustical Society of America, 52nd Meeting of the Canadian Acoustical Association, and the 21st International Congress on Acoustics. Montréal, QC, June 2–7, 2013. Snoek, Conor and Christopher Cox. 2013. Measuring linguistic distance in Athapaskan. Paper presented at the 39th Meeting of the Berkeley Linguistics Society (BLS 39), University of California Berkeley, Berkeley, CA, February 16–17, 2013. Cox, Christopher. 2015. Northern Dene languages. Invited presentation given at the Computational Workshop for Indigenous Languages, University of Alberta, Edmonton, AB, June 7–11, 2015. Cox, Christopher. 2014. Dene verbal paradigms: Perspectives from revitalization. Invited paper presented at the Dene Verbal Paradigm Workshop, University of Toronto, Toronto, ON, September 26–28, 2014. Starlight, Bruce and Christopher Cox. 2013. Perspectives on teaching and learning Indigenous languages. Invited keynote presentation given at the Teaching Ameri-Indian Languages Conference, Tsuut’ina Nation, February 15–17, 2013.